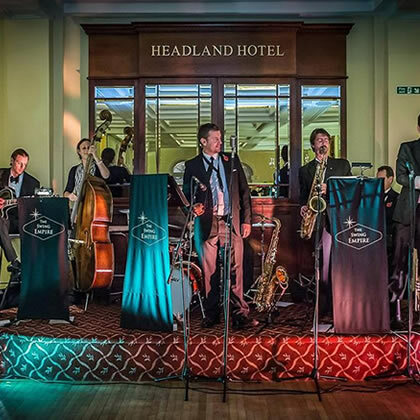 'The Swing Empire have performed at several key events for us recently including the Cornwall Tourism Awards, our wedding open day and our New Years Eve celebration and they were amazing on each occasion! We had so many positive guest comments and feedback that we just had to book them again for this New Years. With a great variety of songs, interaction with the crowd and very smartly dressed what more could you want! Excellent musicians and certainly a band that we will be recommending for future events that The Headland organise and also for our clients weddings and corporate events'. © The Swing Empire 2019. 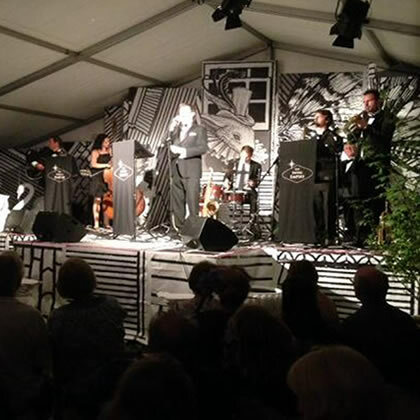 The Swing Empire is a jazz / swing band based in Cornwall that provide live music from the golden age of swing, available for bookings throughout the year. 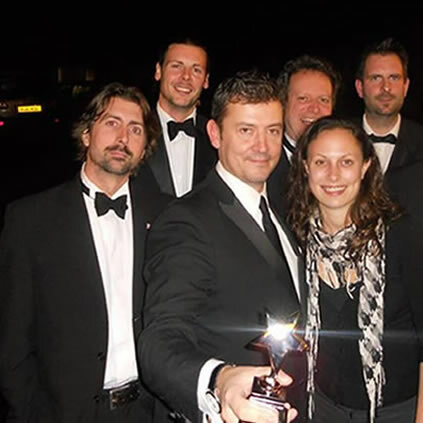 The Swing Empire is a great wedding, function band in Cornwall, providing a sophisticated ambiance for any event. 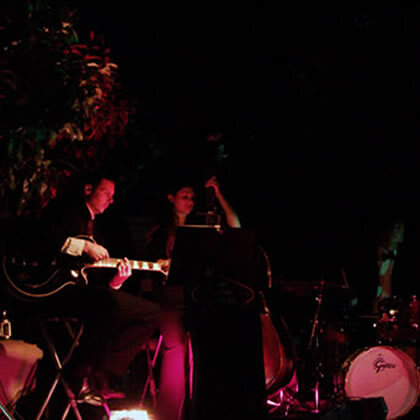 Swing, Jazz, gypsy jazz bands in Cornwall, Devon Booking a jazz band in Cornwall, Devon - The Swing Empire are the perfect wedding music band to hire in Cornwall. 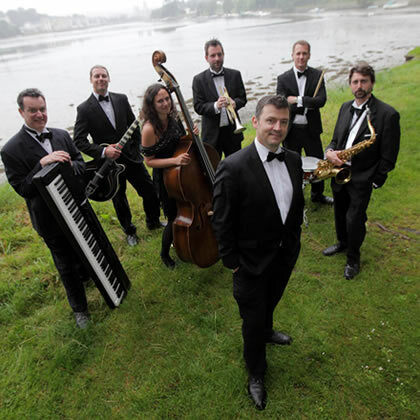 If you are looking to book a jazz band in Cornwall, jazz band in Devon, The Swing Empire are the perfect choice. Made by Enoroc Design Studio.